We love Austin, but we think Midland would have been a far better choice. Anyhew, the guy who played Coach Eric Taylor in the television series Friday Night Lights, has finally made a home in Texas. In an interview with darling Margaux Anbouba over at D Home — who I will always love because she was in court with me, as a reporter, and as confused as I was — our Dave Perry-Miller talks about how he got into real estate (he was 6) and his deep, long time love of homes and real estate. 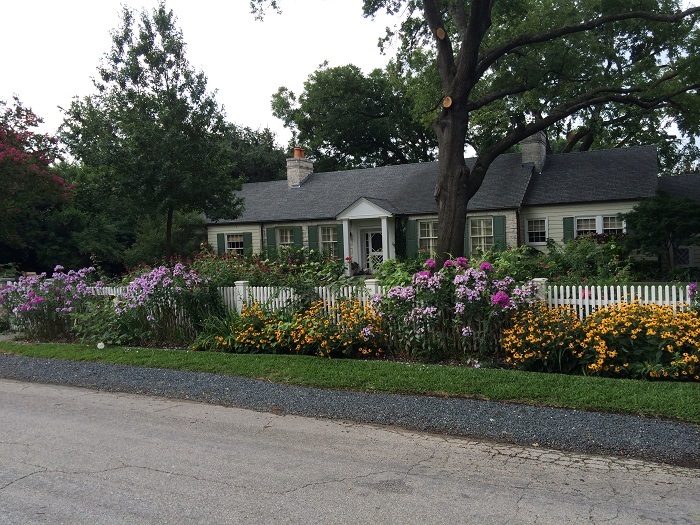 What he didn’t tell Margaux is about his many second homes across the U.S.
Mike Modano Sold His Home on Epping Lane! I don’t know if thinking about how big and scary Igor Olshansky looked when he played for the Dallas Cowboys, with those tattoos and all, can make us feel any better about last night’s tragic game. Oh. My. God. 20 to 17 in OVERTIME! 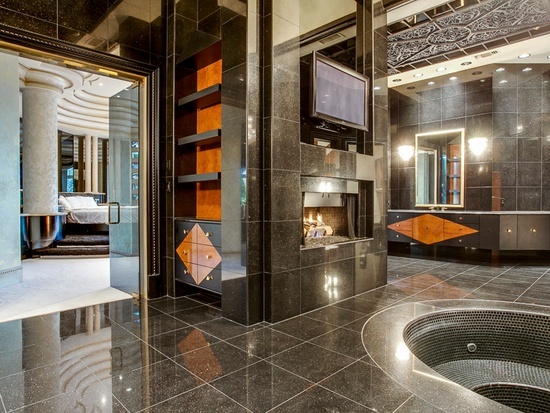 Deion Sander’s Prosper Mansion — Excuse Me, Lone Star on Preston — to be Auctioned by Concierge Auction, WITHOUT RESERVE! Oh boy, I guess that bed is included. We so predicted this, didn’t we? 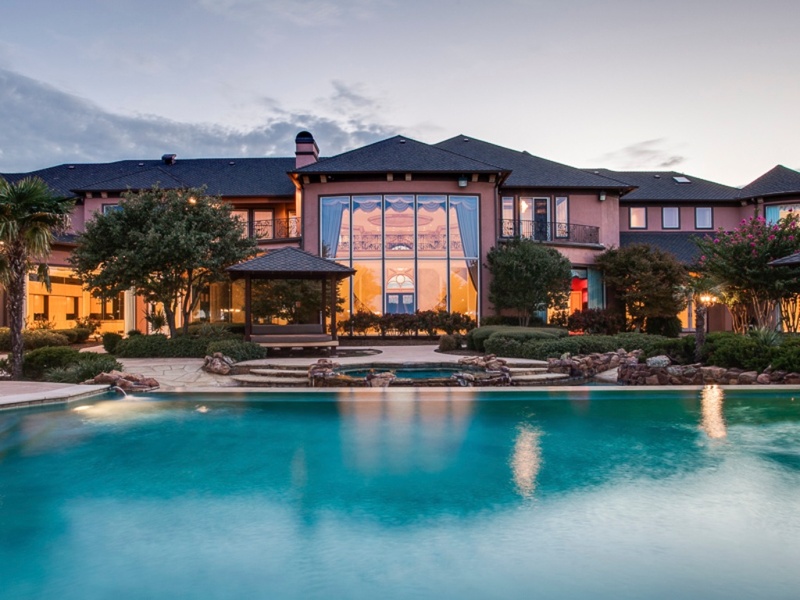 Now it’s official: former Dallas Cowboys football star and perpetual Dallas legend Deion Sanders‘ Prosper estate — the one sold to Bloomfield Homes, Inc. out of Southlake — will head to the auction block with ZERO reserve on November 18. ZERO! 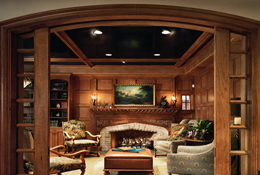 The deal will be done with super agent Jonathan Rosen of Briggs Freeman Sotheby’s International Realty. Oh and the place has a name now: Lone Star on Preston. Kind of a nice ring, no? Update 9:43pm: I’ve added way more photos for your viewing pleasure, and did you know there are TWO putting greens, not one? A tennis court? Stone bridge with pool? Click MORE to check out all the pictures! We told you last week that Penny Tower Cook now has the listing on the (no longer hush hush) Lee Trevino home at 4906 Park Lane. 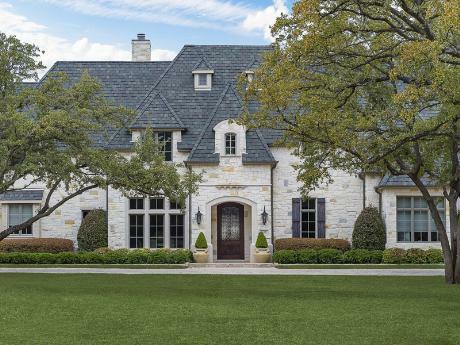 The price of the 10,000 square foot plus mansion on five precious Preston Hollow acres is now $13,000,000, a TAD LOWER than it was, actually $1,000,000 shaved off but still, says Cook, a reasonable price. When you are talking ten million plus, what’s and extra one or two less, right? By the way, talk about real estate and relationships: Penny Cook knows the Trevinos through their sons, who both attended St. Marks Episcopal. Alan Peppard reported Sunday on something I have been meaning to tell you: The Tom Hicks Crespi Estate on Walnut Hill Lane has been reduced in price, somewhat. 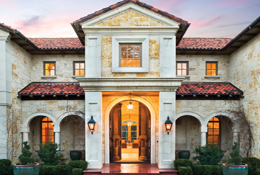 As Alan reports, the Hicks have decided to sell their estate with less land for less money: 10 acres, and 42,500-square-feet of the most luxurious living in Dallas or the entire state, for that matter. Previously we reported here, first of course, that the Hicks estate was on the market for $135 million. At that time it took the prize for the most expensive estate for sale in the United States. 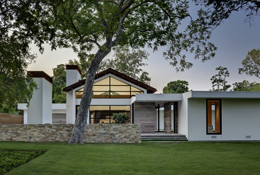 That was for all 25.25 acres, a lot of grass and trees (and some ponds) even in the honeypot of Old Preston Hollow. In fact, I wonder how much damage the Hicks had from last weeks’ storm– hopefully none. Alan reports that Doug Newby now says you can have the house and all the structural trimmings on 10 acres for a mere $60 million.